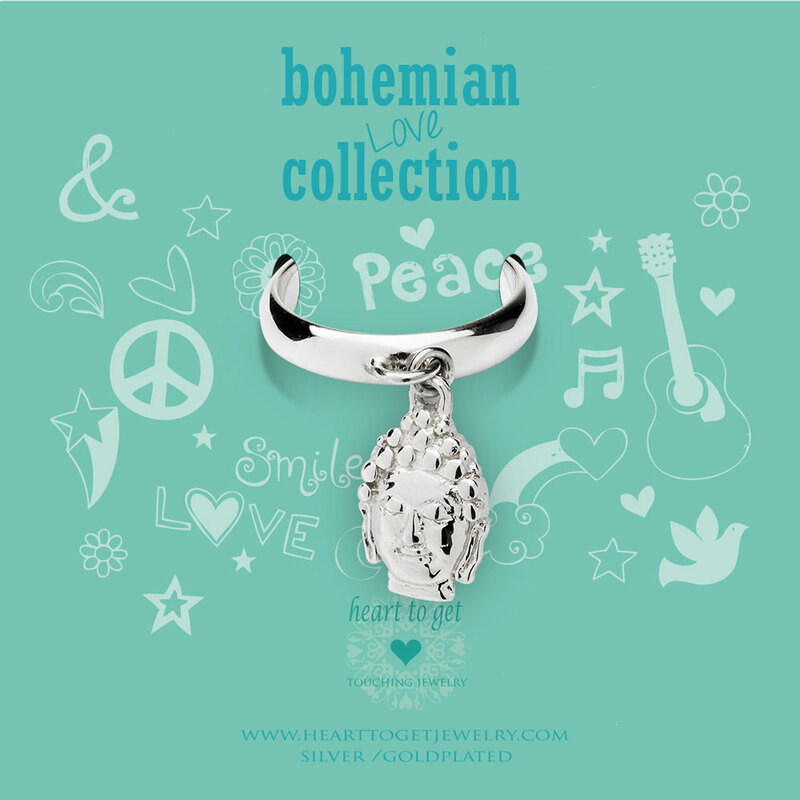 Let’s celebrate life with Heart to Get Bohemian collection. Rings with some boho spirits. Create your own little Summer ring party with Bohemian collection rings, you’ll love it. This ring wears the message: ‘Peace and love’. Size of ring: size S (16,5), size M (17), size L (18). Available in silver. Let the boho vibes come in with Bohemian collection rings! These boho rings complete your outfit. What is Heart to Get without a ring collection? Mix and match your favorite Bohemian collection rings with Bohemian collection elastic beads rings for some extra Boho vibes. You can’t wear enough Heart to Get jewelry!